Took some time — and a lot of anxious moments with the forecast — but Hermine is making a move closer to the New England coast this afternoon. Winds have been ramping up all day. Gusts have peaked at nearly 60 mph on Nantucket and over 70 mph on the buoy south of Nantucket closer to center of the storm. Nomenclature is important in storm naming and tracking, but at this point, it’s not about whether Hermine is a tropical storm or subtropical storm. We’re treating it like a big nasty nor’easter right now with gusty coastal winds, dangerous surf and beach erosion. Note I didn’t mention rain. (Or snow for that matter.) With the exception of some rainbands on the Cape/Islands, this has been a dry storm for much of New England. Question becomes, will it stay that way? First let’s prioritize the concerns and lay out a timeline. 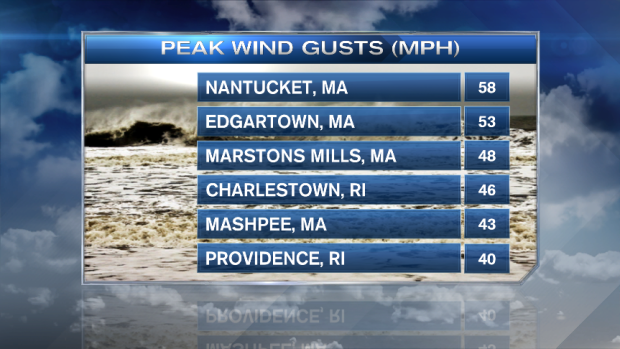 1) Strongest winds will continue to hammer Buzzards Bay, Cape Cod and the Islands through 9-10pm tonight. This coincides with part of the afternoon high tide cycle, but only minor coastal flooding is possible on the south shore of Nantucket. 2) Gusts could still approach 50-60 mph on the Cape and Islands through this evening. Thereafter, gusts should stay in the 30-45 mph range. 3) Seas are angry and frothy. Please be careful and respectful of the power of the ocean. Strong undertow and rip currents will be present for days. 4) Rain has been disappointing as the dry air over New England continues to eat away at advancing rainbands. 5) I expect only scattered bursts of rain into tomorrow to spin back from the storm. They’ll start offshore then fade as the sweep in to the 128/495 belts. I’m not expecting much. Perhaps an 1 or an 1 and a half on the Cape/Islands and up to a quarter to half inch elsewhere. Trace to a quarter possible from 128 west. This remains a strong storm. Not in the annals of Irene or Sandy, but still enough to warrant some caution. 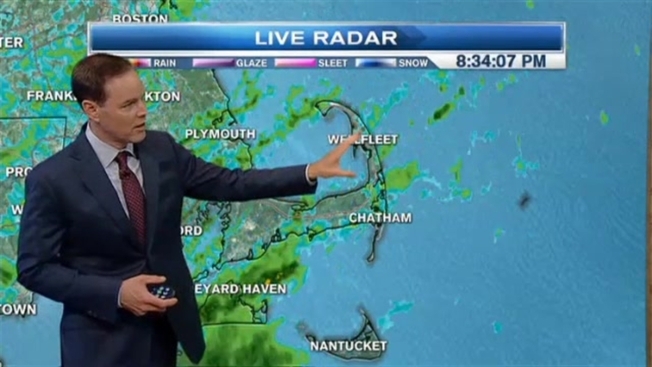 Unlike both Irene and Sandy, the rain is feeble and inconsistent. We’re worried that many spots will be left in the cold for rain and some may not see more than a quick sprinkle. What’s at play here? Dry air (what else is new?). It’s been around since the weekend, and has incorporated itself in the storm. That dry air will consume the advancing rainbands from Hermine and keep them from pushing too far inland. Bottom line: this isn’t a drought buster (even in the spots that see an inch plus of rain). And we will be in dire straits by the time the heat rolls in late week. We’ll have updates on-air and online through the storm.